My new poetry book, Up in the Air, is divided into five sections – Air, Love, Water, Air (again) and Image. The Image section consists of eight poems inspired by paintings, photographs, a display, a poster and a line drawing. In this post I’ll identify some of these pictures and talk about how they inspired my poems. The section begins with On Justice, inspired by the painting of Margareta van Eyck by her husband Jan van Eyck. The painting hangs in the Groeninge Museum in Bruges. When I saw it, I was mesmerised by the character in the woman’s face. I could see her intelligence and what I thought was a hint of sharpness, possibly even bitterness. My poem (check it out here if you don’t have the book) wanted to capture that, as well as meditate on the failure of even the greatest art to transcend mortality. The next poem, Self-Portrait, is based on one of Van Gogh’s paintings. There’s a lot going on here, as you can see, plenty of light, colour, chaos and energy. This painting is a gift to anyone’s imagination, so I just let mine run riot. Exhibition, Merton is a long poem based on the paintings of the artist Jocelyn Merivale. I used to work with her husband, John, and so had the pleasure of studying her paintings in their home. Jocelyn’s main theme was water and especially the sea – but she also painted birds and portraits. Jocelyn died a few years ago and her website is currently down whilst her paintings are being professionally photographed, but below is a close up of Field of Birds. You can see more of her paintings here. The other poem based on a painting is Looking at it Now. Paolo Uccello’s Saint George and the Dragon in the National Gallery is a masterpiece. But, as with the poem that follows it, Beast (based on a gallery drawing), I wanted to re-imagine the relationship between man, woman, and ‘monster’, to reflect more modern sensibilities. The Ogrw-Garw Display was an exhibition about one of the valleys in South Wales, created by a friend. The exhibition comprised beautiful photographs of the ancient oak woodland scattered across the mine-scarred landscape. But in the middle of the display was a single black-and-white photo of… a group of school children. 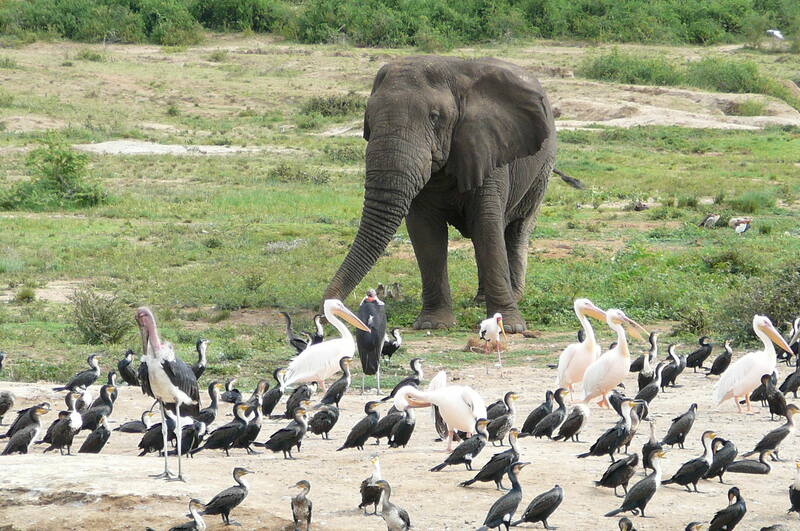 I wrote Ugandan Bestiary after a safari holiday with my wife in 2007. 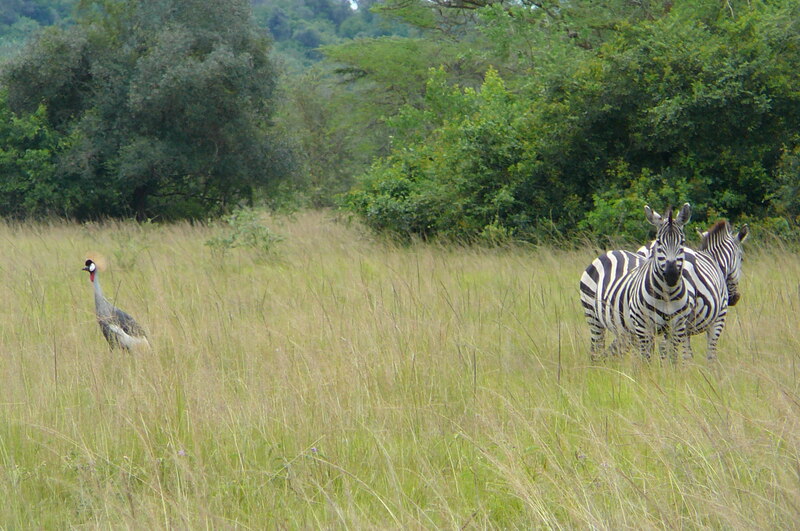 Back home, I studied the photos of the trip, mulling over the animals we’d had the good fortune to see. In doing so, I came up with this series of short, vignette-style poems. Finally, Christ in the Crowd was randomly inspired by this poster for Jesus Christ Superstar. As they say, inspiration comes from anywhere and everywhere. This entry was posted in Africa, Blog entries, Paintings, Poems, Uncategorized, Up in the Air, Wales and tagged image, inspiration, jocelyn merivale, margareta van eyck, paintings, paolo uccello, poetry, up in the air poetry, van gogh on December 15, 2018 by Steve Griffin. In The Secret of the Tirthas, the demons and their followers are desperately seeking to capture the Artefacts of Power. These magical items have gained their power from the devotion of worshippers over the centuries. Nkisi statue – a wooden figure from African shamanistic religion. People drove iron nails in to release the power of the ancestor spirit residing in it. Hilili Kachina – a raindance doll with a snake hanging out of his mouth, from Native American culture. The Holy Grail – a chalice containing the blood of Christ from the Last Supper, much pursued by medieval knights. Easter Island statue (maoi) – over 1,000 of these mysterious statues were constructed by the inhabitants of a remote island in the Pacific Ocean. All the statues look inland, away from the sea. It is thought they represented ancestors, guarding over the islanders. Venus – the statue is based on the famous Venus of Hohle Fels, found in Germany and believed to be 40,000 years old. She was carved from mammoth tusk. Green Man – a figure from Western paganism, symbolising the regenerative, mysterious powers of Nature. Yingarna – a goddess of creation, who carried children from different Aboriginal tribes in her many bags. Shiva Lingam – a holy symbol of Lord Shiva, the Hindu god of destruction, carved from stone. Buddha’s Tooth – there are several teeth relics of the Buddha, including a very famous one in Sri Lanka. This entry was posted in Africa, America, Australia, Blog entries, Britain, India, The Secret of the Tirthas, Uncategorized and tagged artefacts of power, green man, hilili kachina, holy grail, lingam, maoi, nkisi, shiva, venus, yingarna on July 15, 2018 by Steve Griffin. Time for another first on my website. Having just read Robert Aickman’s fabulous collection, The Wine-Dark Sea, I went through my old files in search of some of my own ‘strange stories’ (as he called his dark, often haunting short stories). This story is based on a true incident that happened to one of my friend’s colleagues, who was working for an NGO in Zambia. 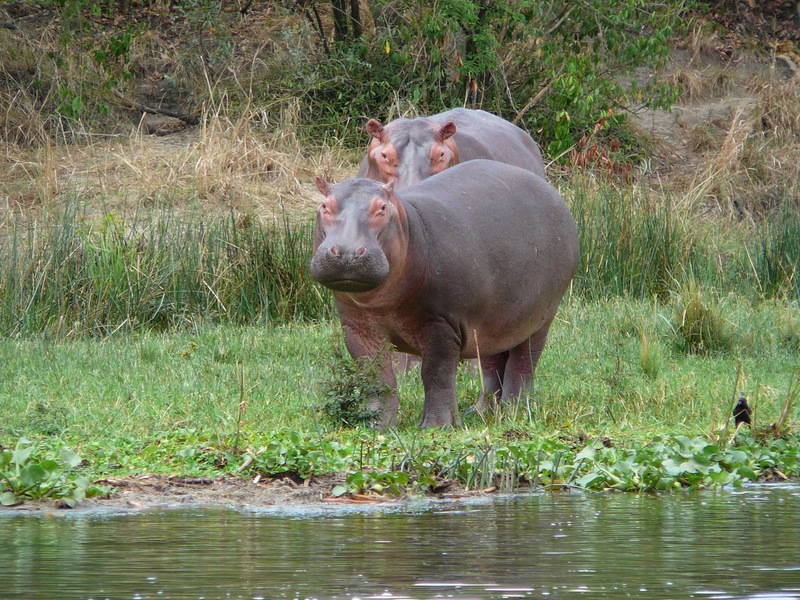 Mimi loved the Munyati’s plump black dog Baba with its stumpy uneven legs, which made it waddle when it walked. She and Zabaida did funny impressions of it, swinging out their hips and bending over and folding their arms over their heads like ears. Mimi thought Zabaida was the best, she could tip her head down and make a deep little woof just like Baba, but Zabaida thought Mimi was better, she did the lazy roll of the eyes just right. So when Mimi spotted Baba snuffling through the gutter across the street she shouted the dog’s name and ran out towards him. And got hit by a car, one of those big four-wheel drives made by a Japanese company. The four-wheel drive is deemed the car of necessity for those businessmen, safari operators, and aid workers who must traverse the poor infrastructure of Zambia. The roads are too rough, too gouged by potholes and scoured by the rains for the low chassis of normal cars. It is too easy to become grounded, too easy for weedy tyres to blow out on sharp stones. A four-wheel drive, with good air-conditioning and tinted windows to stop the sun’s glare is best. With a cattle bar to protect your radiator from collisions with livestock in the countryside, and fenders in Lusaka. The cattle bar struck Mimi at a speed somewhere around twenty miles per hour. There was a loud crack and the child bounced loosely back on to the side of the road. The driver of the car, an aid worker named Joseph, screamed and slammed on his brake. The tyres bit deep into grit, sending out billows of brown-red dust. Joseph looked into his rear-view mirror, instinctively turning down the tape of UB40 that filled the cabin with a bass-heavy thump. Through the swirling dust he could see the child lying still on her back. ‘Oh Lord, no, please…’ he whispered. He looked across at the glove compartment, but it took a few seconds before his confused eyes focused on the white cross in a green circle. And stopped, confronted by a large face barely an inch away from his own. Oddly, the first thing he noticed was a series of beige blemishes and pocks on the man’s cheeks. Then he saw the eyes, which appeared to be making small circular movements, like a high-powered drill. For a moment Joseph was fascinated, almost hypnotised, like a snake before a mongoose. The man’s eyes were amazing, the most amazing colour – almost yellow, sand-yellow, with a band of green around the edge of the iris. Then Joseph’s foot crushed the accelerator down on the floor. With a crunch and squeal, the car surged forward. The man at the window shouted in surprise, but didn’t let go of the door handle. Instead he began to run alongside the car, trying to yank the door open. But the motion of the car meant that, wild with anger as he was, the man could not pull it outwards. Joseph checked the rear-mirror and found his fears confirmed by the sight of at least a dozen men and women running out from their huts to pursue the vehicle. He shouted, some garbled sound, and shouted again when he looked back at the road and saw an elderly villager in front of him, spreading his arms as if to catch the car like a cow. Joseph braked and swerved, narrowly missing the man, then threw all of his strength into wrestling the door shut because his clinger-on had used the moment of deceleration to widen the opening. ‘Get off!’ he shrieked, once again flooring the accelerator. This time the crazy man could not hold on and, in the mirror, Joseph watched as in the midst of the dust cloud he nearly fell over himself trying to slow down. And then Joseph was out of the village, speeding along the open road. In Zambia, due to the not-so-infrequent incidents of drivers being pulled from their vehicles after such occurrences and pummelled to death, it is perfectly within the law to drive on and report the accident at the next settlement. So when Joseph presented himself at the local police station, the superintendent calmly proceeded to take his details. Then, after allowing Joseph a call to his employer, the policeman locked him in a cell for the night. He thought he’d been awake all night, rotating the furious faces of the villagers round and round in his mind, but the sudden start Joseph felt upon hearing shouts outside made him realise he must have slipped off for a short while after dawn. The hatch in the door allowed the only light into the dim cell. Hearing shouts again, Joseph rushed to the door and looked out through the small opening. Outside a policeman whom he had not seen before was in front of the door, bending over and calling for help. ‘What is it?’ Joseph whispered. The man looked up at Joseph’s face, which was pressed against the single bar that divided the hatch. The policeman’s face was ashen. ‘Look,’ he said, and stepped out of the way so that Joseph could see what he had been leaning over. For the second time, Joseph saw Mimi. Below her small face, so gentle she could be asleep, her body was twisted sideways into an impossible position. Her legs and arms flayed out at differing angles, making her look inhuman, like some huge flattened spider. Joseph’s vomit came mostly through the window, spattering the man’s shoulder. ‘Sorry,’ he said, as he stumbled back into the cell, wiping his mouth. The superintendent arrived, and the two men carried the child’s corpse into one of the other cells. ‘Who did this?’ Joseph heard the superintendent ask. ‘The villagers must have brought her over in the night,’ said the other man. Josep’s employer Sarah arrived later that morning with a lawyer. At a meeting in the police offices, the superintendent explained that Joseph was free to go but, as was usual in these cases, he would have to pay compensation to the family of the dead child. He would be summoned to a local tribunal to establish how much within the next few weeks. As they were leaving, the man who had discovered the child came up to Joseph. Joseph looked at his hand and felt his stomach spasm with fear. It was a snake’s skull. Sarah sat at her desk staring blankly at the computer screen. It was past sundown and the heat in the office was unbearable. She stood up and went over to the window, but the air coming off the street was thick with diesel and she felt her chest constricting, not expanding. She decided she couldn’t work much longer, she would have to get up early to finish her report. As she was turning away from the window, she noticed a man coming down the street in a strange fashion, shuffling and hunched up as if he were carrying more than just his head on his shoulders. He was scurrying left and right, keeping as much space between himself and passers-by as he could. At one stage he stumbled into the path of a motorbike, which swerved swiftly to avoid him. After getting back on to the pavement, the man looked up at the office, and she realised who it was. She rushed downstairs and out of the doorway to catch him. He was hurrying away through the crowd, stiff across the shoulders, not looking back. He stopped, and turned around slowly as she walked up to him. For a moment she thought he was going to cry. He lived in a small block of flats near the centre of town. When they got in he seemed to relax a little. 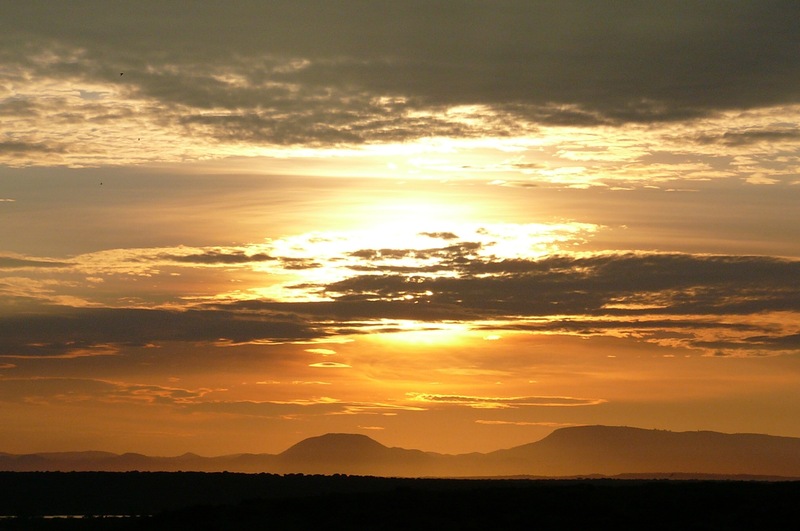 He brought a bottle from the fridge, poured her a glass, then walked over to a set of drawers. ‘Will you look at these, please?’ He pulled the bottom drawer out slowly. Inside were a variety of unusual things, feathers, bones, and small dolls, which he proceeded to take out and show her one by one. Some of the items seemed to be daubed with blood. Sarah knew at once what it was. Witchcraft. ‘Where have they come from?’ she asked. The woman sits on her stool, gazing out across her yard. Her face is split by lines of age and worry, and her eyes have a rheumy shine. Occasionally, she raises her hand to her cheek, pushing it inwards so she can bite on soft flesh. She is watching the chickens peck about for seeds and scraps, but she is thinking about something else, biting her cheek, stroking her brow. Her eyes shift about on the surf of some restless inner reasoning. Suddenly, her name is called. She looks round, sees a cousin approaching. He has been to collect post from the town, and she is expecting her next payment. He leans inside the door and, instead of the usual envelope, hands her a parcel, then walks on. The woman studies the brown box, which has her name and address – some of the few words she is able to recognise – written on it in neat blue ink. Her fingers, already swollen with arthritis although she is not as old as she appears, slide the string over each of the corners and lift up the lid. Inside she finds cotton wool padding, which she pulls out slowly, one thick wedge at a time. And then she freezes. From its white nest, a small cotton doll of a child with tiny agate eyes stares up at her. 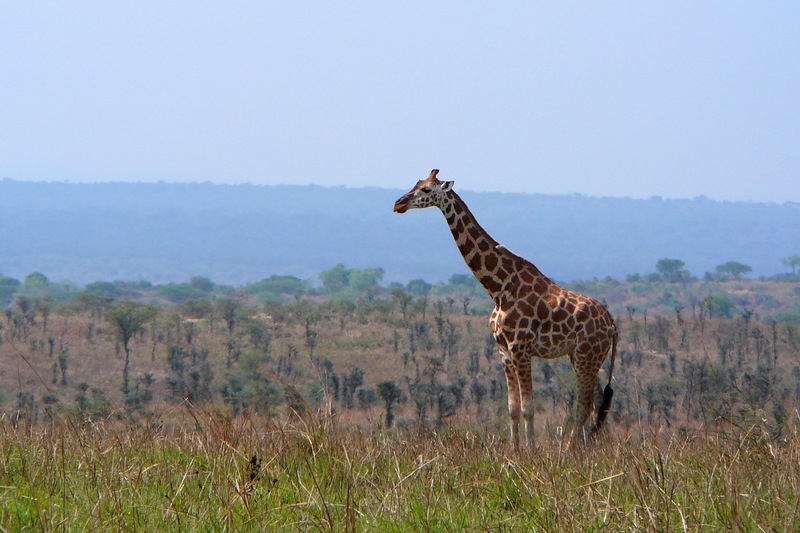 The cotton is unbleached, a dull grey colour, but there are red stains on its head and torso. For a moment, incomprehension shows on the woman’s face. Then, realising that the monster of her grief now has no way to turn but inwards, she screams and gouges at her forearms with her nails. The weak skin tears and blood blooms from nothing. Outside in the street, the villagers hear the cry. They turn towards her house and stare. This entry was posted in Africa, Short Stories and tagged short stories, short story, witchcraft on September 3, 2017 by Steve Griffin. Getting very excited now. 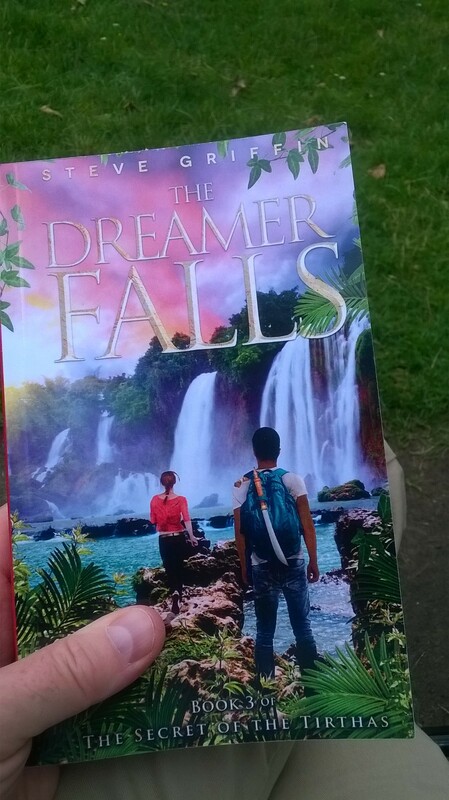 Just spent lunchtime in the park reading my proof copy of The Dreamer Falls. It’s amazing that no matter how tight you think you’ve got it, and no matter how many other people have read it through, you still get to find those typos! 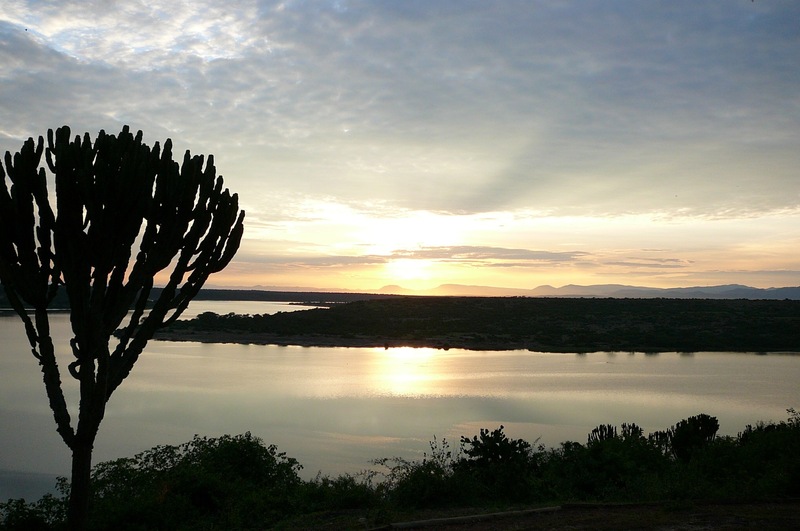 This entry was posted in Africa, Blog entries, The Secret of the Tirthas on July 22, 2016 by Steve Griffin. 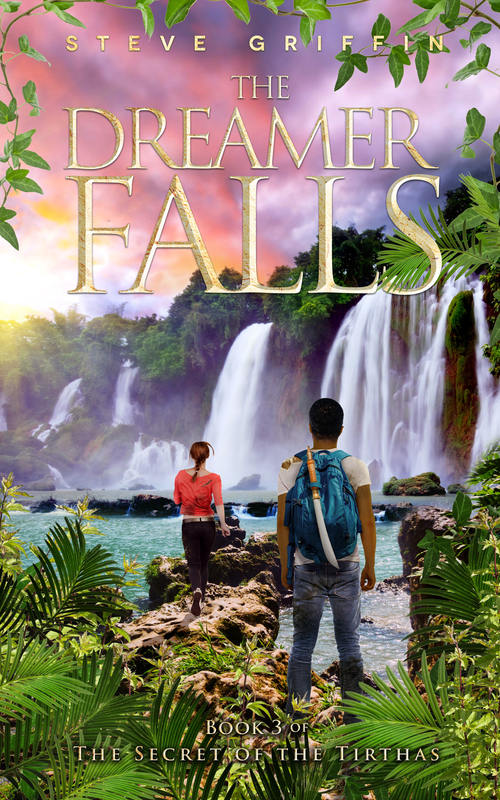 Here’s the final cover for The Dreamer Falls, the third book in The Secret of the Tirthas. I’m very happy with this. What do you think? I’m doing a final proofread at the moment and aiming for the book to be out in the next 3-4 weeks. A perfect read for the beach! This entry was posted in Africa, Blog entries, The Secret of the Tirthas, Uncategorized and tagged kidlit, mg book, mg books, ya book, ya books on June 22, 2016 by Steve Griffin. “She must have dozed off for a while because when she opened her eyes again she found herself staring at something she recognised, lying on a bare patch of yellowy-brown sand, beneath the hanging fronds of a palm. 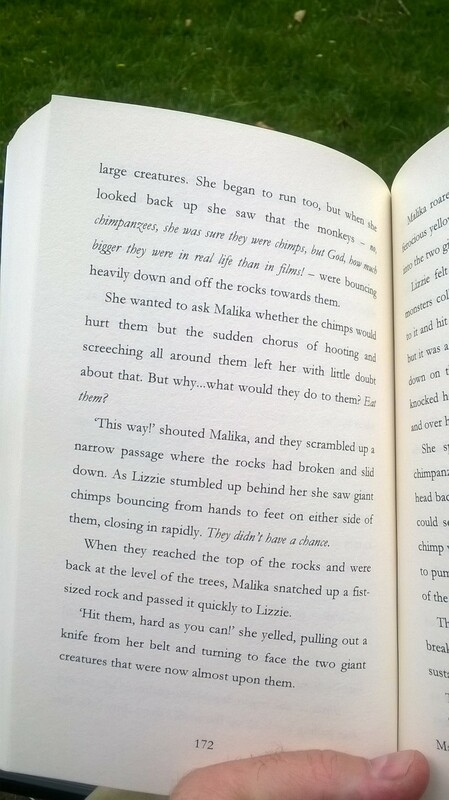 It was something she knew very well, long and squat, a creature she knew from stories, right from childhood, and one that she had seen before in… zoos! 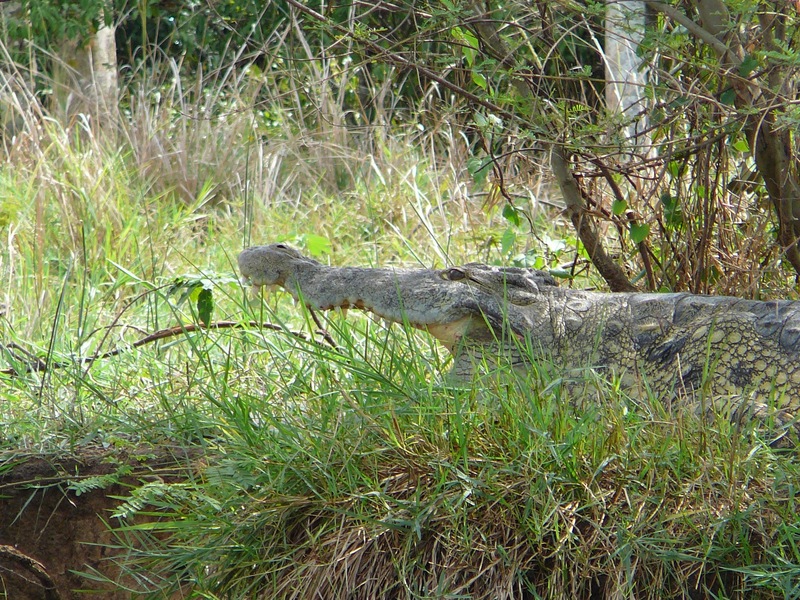 ‘A crocodile! 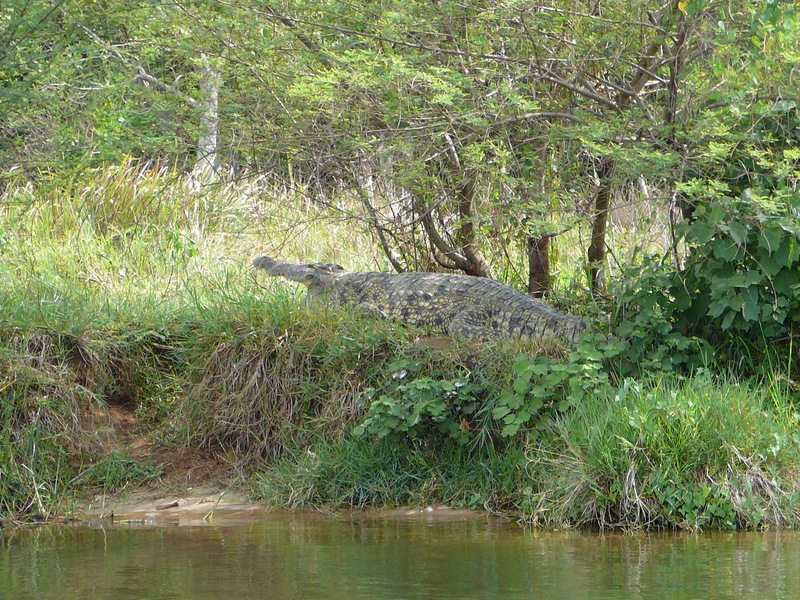 It’s a crocodile!’ she screamed. The boat lurched suddenly as she scrambled to sit upright. This entry was posted in Africa, The Secret of the Tirthas and tagged kidlit, mg, mg books, ya, ya books on June 9, 2016 by Steve Griffin. 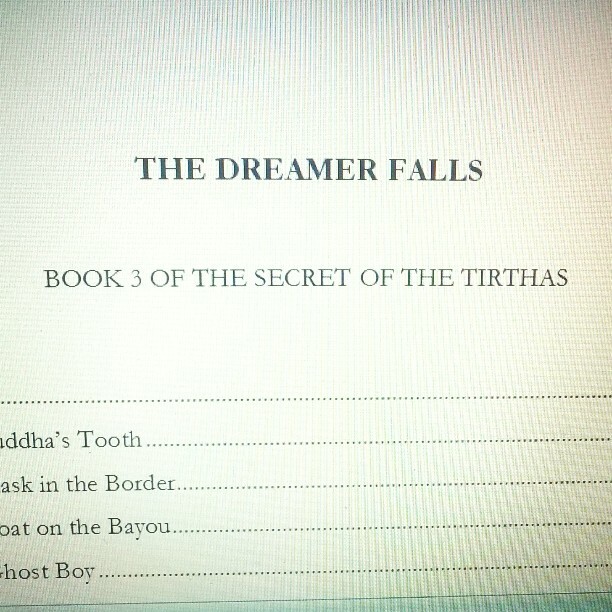 The Dreamer Falls, the third adventure in The Secret of the Tirthas, is now in draft and due for publication this summer. It’s set mainly in the jungle in Cameroon, where Lizzie has to go to save a local village boy who’s accidentally discovered one of the portals in her garden. 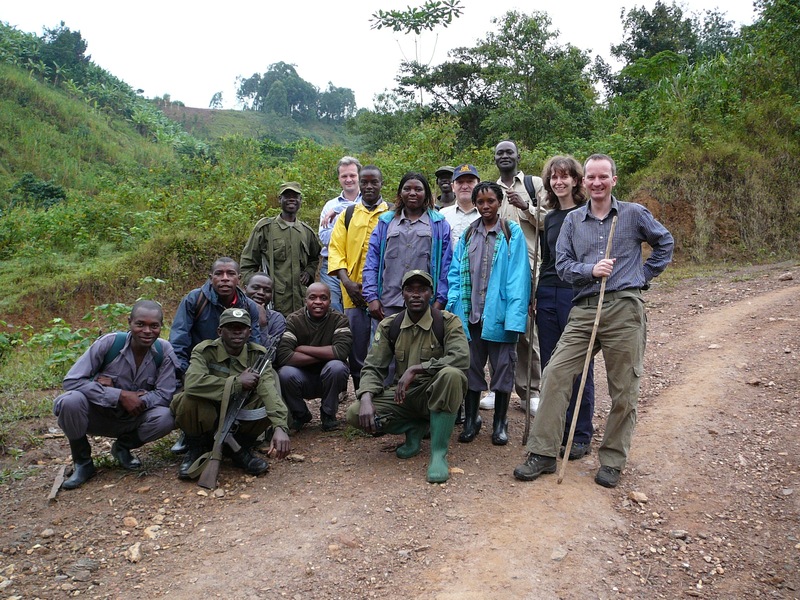 Lastly, I couldn’t resist including this photo of the group that went looking for gorillas – the rangers carried guns because of the danger from poachers and armed rebels. 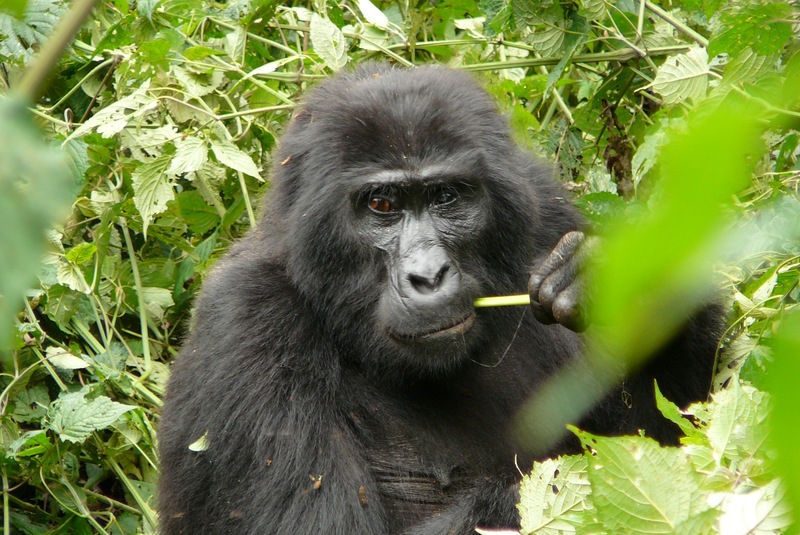 This entry was posted in Africa, Blog entries, The Secret of the Tirthas and tagged gorilla trek, kidlit, mg, mg books, photoblog, the dreamer falls, uganda, ya, ya books on April 17, 2016 by Steve Griffin. 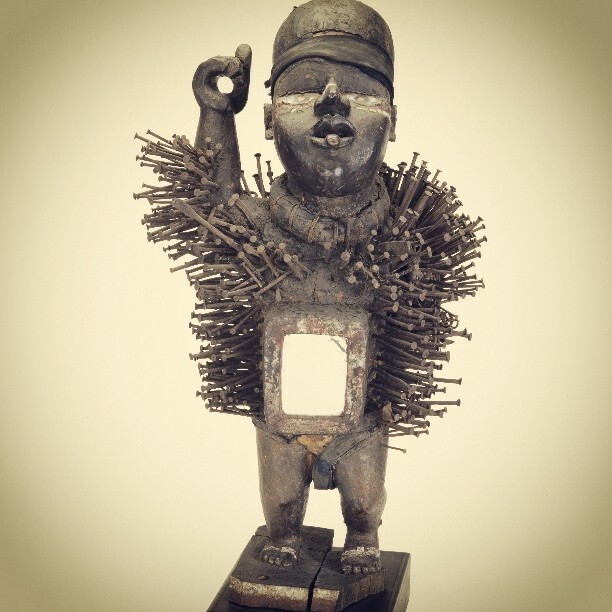 This is a Nkisi, a fetish statue used in parts of Africa to summon ancestor spirits to your aid. You enact its power by licking then bashing in nails. A Nkisi statue turns up as an Artefact of Power in The Dreamer Falls, the third book of The Secret of the Tirthas, which is now in its first draft and will be out this summer. In the book Lizzie’s sense of duty once again gets the better of her as she heads through a tirtha into the Cameroonian jungle to rescue hapless village boy Thomas Bennett. In a cruel twist of fate Thomas has become the new wild boy of the woods (or rather rainforest), following his accidental discovery of the tirtha. The quest to find Thomas tests Lizzie to the full as she encounters gruelling dangers, both physical and psychological. 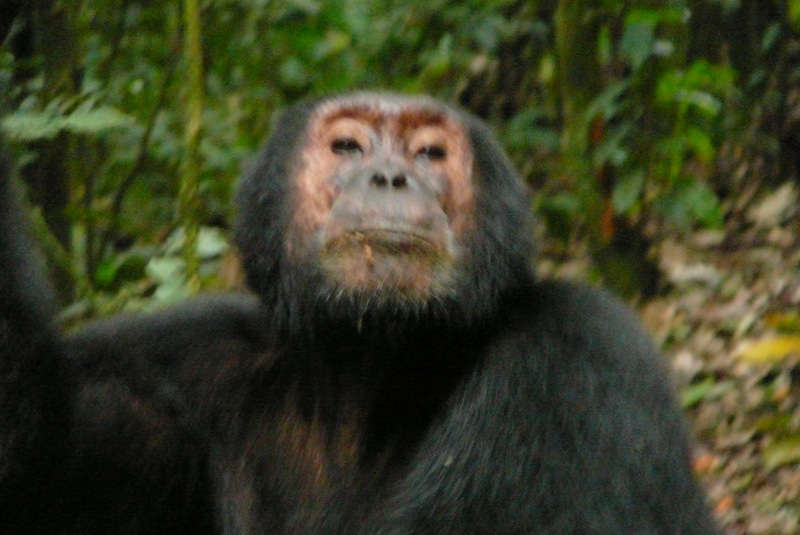 She’s accompanied by two teenagers, Zuri and Malika, although whether Zuri with his exacting, often cruel intentions is a help or hindrance is difficult to tell. And only when she’s at her furthermost point from home, deep in the jungle, does she once again find herself up against the deadliest of foes. Which is where the Nkisi might or might not come in helpful. 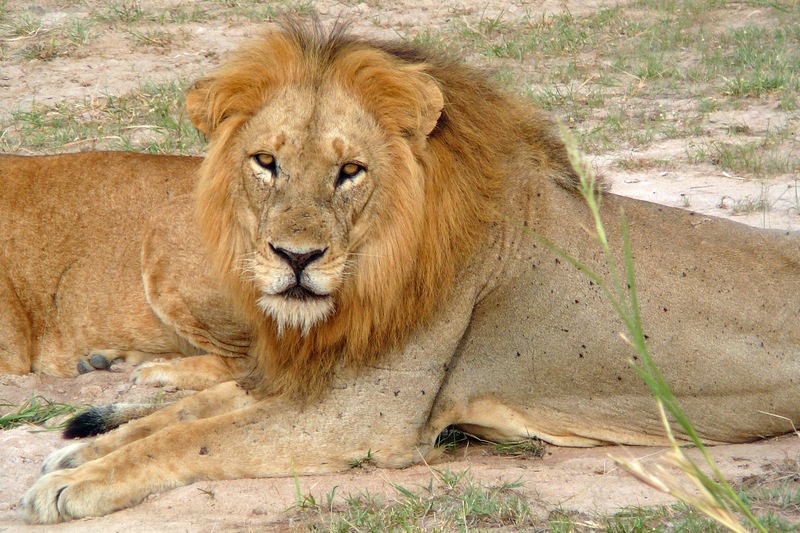 This entry was posted in Africa, Blog entries on February 28, 2016 by Steve Griffin.